Austroderia richardii, syn. Cortaderia richardii, is a species of grass plant in the family Poaceae. 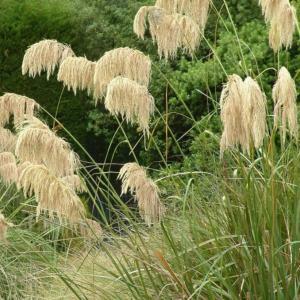 The genus Austroderia is often called "pampas grass", though this name more correctly refers to Cortaderia selloana and other species of Cortaderia from South America. The name "tussock grass" may also be used, but the Maori name is "Toetoe". Valued mainly for its foliage effect alone. 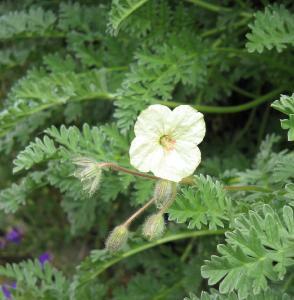 Makes neat rosettes of fine silvery-grey finely divided leaves, almost white in dry weather, above which float branching heads of creamy-yellow flowers in early summer on 25 cm stems. One of the best plant for a hot dry position in full sun on poor soils. A lovely well behaved and easy rock plant. 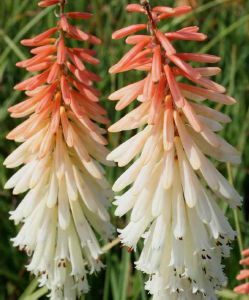 Kniphofia ‘Toffee Nosed' is a compact herbaceous perennial to 1m in height, with narrow erect leaves and tall stems each bearing a dense spike of unusual cream flowers tipped with a caramel orange-brown top. This wonderful 1980s introduction was selected by John Metcalf of Four Seasons Nursery, and has won the prestigious Award of Garden Merit as an outstanding garden plant by the Royal Horticultural Society. 100cm.